Naveen Jain is an entrepreneur and philanthropist driven to solve the world’s biggest challenges through innovation. He is a founder of Moon Express, World Innovation Institute, iNome, TalentWise, Intelius, and Infospace. He is a regular contributor to the Forbes, WSJ, INC and Huffington Post. Moon Express is developing a robotic lunar lander to explore and mine the moon for planetary resources that will be the key to securing humankind’s future. World Innovation Institute fosters innovation and entrepreneurship to create scalable and sustainable solutions for many of the grand challenges such as reinventing education to be engaging & effective, affordable and accessible healthcare. iNome is the first company to create the Information Genome of humanity. Inome allows you to discover the genomics of how we all fit together and to bring each one of us one step closer to our dreams. Naveen Jain is a member of the Board of Trustees and Vision Circle at the XPRIZE Foundation where he is focused on finding entrepreneurial solutions to address the global challenges in health, education, poverty, agriculture, and clean water. Naveen Jain is on the board of Singularity University, an interdisciplinary university with the mission to educate and inspire leaders to address humanity’s grand challenges through innovative technologies. Naveen is an advisor to the UK Longitude Prize and a member of the Explorer club. Naveen Jain has been awarded many honors for my entrepreneurial successes and leadership skills including “Ernst & Young Entrepreneur of the Year”, “Albert Einstein Technology Medal” for pioneers in technology, “Most admired Serial Entrepreneur” by Silicon India and “Top 20 Entrepreneurs” and “Lifetime Achievement Award” for the leadership in the technology industry and support of other entrepreneurs by Red Herring. Anu Jain is an entrepreneur and philanthropist driven to make a positive impact in the world. She is passionate about health and wellness and empowering girls and women. 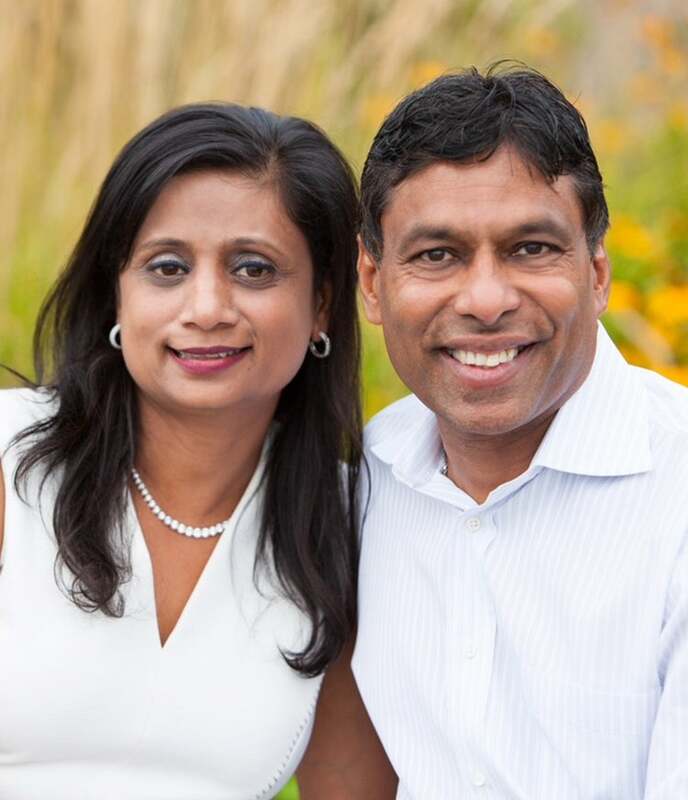 Anu is the Founder of the Anu and Naveen Jain Women Safety XPrize and President of the Anu Jain Family Foundation. She is also the Co-Founder of InfoSpace and Lavish Life. She is Vice President of Community Relations at Viome, a company focused on disrupting healthcare with the goal of making chronic illness elective . Anu recently launched a $1 million XPrize competition to incentivize innovators to design a technology-based solution that sets a new safety standard for women. The winning technology solution will autonomously and inconspicuously trigger an emergency alert while transmitting information to a network of community responders, all within 90 seconds and for less than US $40 per device. 85 teams globally have registered to compete. Anu is on the UC San Diego Health board of Advisors and their Science, Technology and Global initiatives committee. She is also a trustee of the board at the X-Prize Foundation, an organization focused on using exponential technology to solve the grand challenges of humanity. She is also a founding member of the investing circle and advisory council member of the UN Foundation Girl Up Campaign that specifically focuses on empowering adolescent girls in the US and around the world and also focuses on STEM programs. Additionally, Anu is a board member of Bellevue LifeSpring, a local Bellevue organization focused on helping children to foster stability and self-sufficiency and is a member of Women Moving Millions. Anu holds a BA in business administration and economics from SUNY, Stony Brook, NY, and an MBA from Rutgers University in New Jersey. She grew up in Jerusalem and many different countries as a UN child. Some of her favorite hobbies are arts and music and she loves nature and the outdoors. Anu and her husband have three children who are all entrepreneurs and actively involved in positively impacting the world.